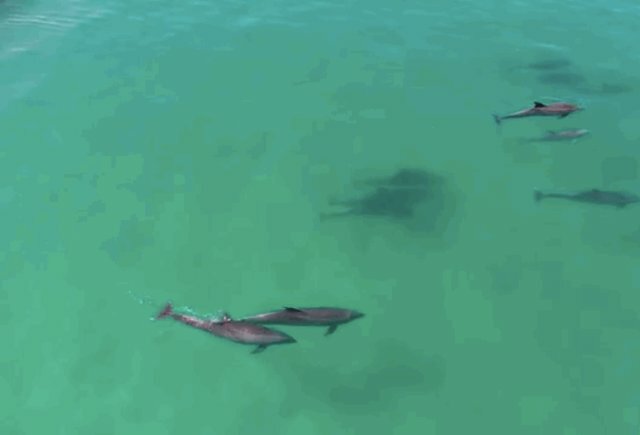 As incredibly social animals, dolphins are often seen in pods of about a dozen individuals. 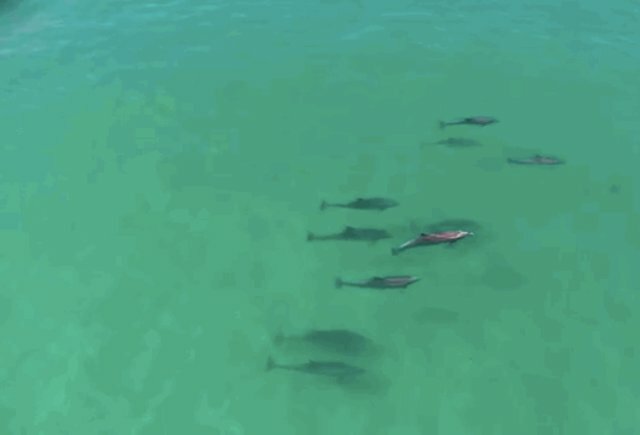 While watching them from boats is surely a pleasant sight, there's nothing more impressive than following a dolphin pod from above, with the help of a camera-equipped drone. This pod, seen off the waters of San Diego, Calif., was filmed gracefully weaving through the waves by a quadcopter. 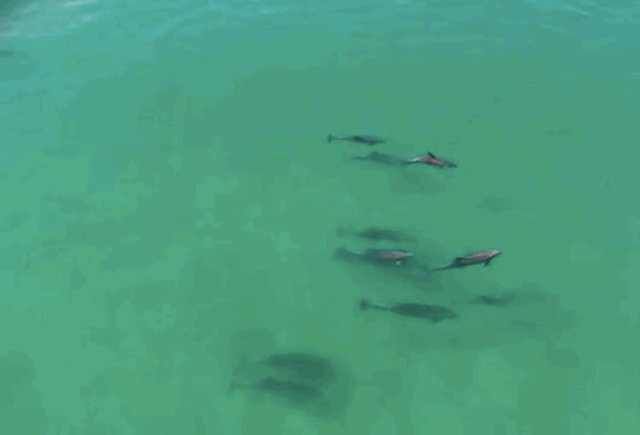 Dolphin pods are usually about this size, but they can get much, much bigger. Large groupings, colloquially called "superpods," can reach numbers of 1,000 individuals or more. Members of the pod often display altruistic behavior toward one another - some have even been observed staying to help injured or ill individuals, even raising them to the surface to breathe, if necessary. See the entire peaceful video below.